Since most of you outside of Brazil do not have access to DOM magazine yet, the editors agreed to let me post some pictures from this month's editorial with coverboy David Jensen. Check them out after the jump. Here is the making of video of the cover of the latest issue of DOM magazine with model David Jensen. This is absolutely my favorite issue of the magazine to date. Pictures coming soon. 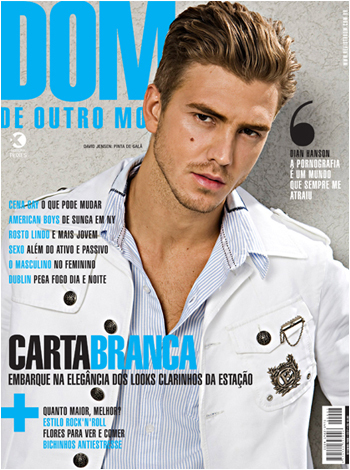 The cover of the September issue of Brazilian gay magazine DOM with David Jensen is now officially my favorite cover of the magazine so far. The issue hit newstands today, so expect to see editorials and making of videos here soon. This is his second campaign in a row for Energie. Another shot after the jump. 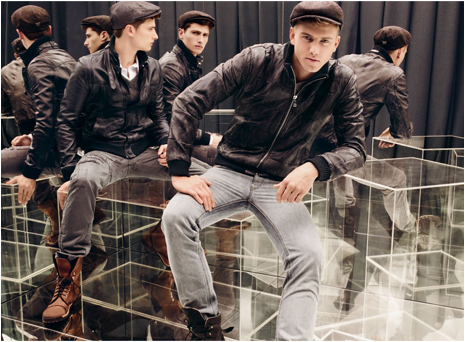 Here are some images of Brazilian David Jensen in the fall 2008 Dolce & Gabbana catalog. The fall shows at Bryant Park started this morning, and I am using that as an excuse to post yet another picture of David Jensen (the Brazilian model was part of the CFDA/GQ Designer Showcase this week). Even though I am not in New York, expect some coverage of Brazilian models, designers, and trends. Ale Herchcovitch shows his collection tomorrow at 3pm, Iodice makes its New York debut on Monday night, and Carlos Miele shows on Wednesday at 1pm. And for those Project Runway addicts like myself, the final showdown takes place a week from today at 9am.